We found nice “little” littlenecks (you can’t always find them so small) at our market’s fish counter this morning, so we bought a bag. Hmmm…a quick stew of clams with spicy sausage would make a good lunch, right? And we did just that. 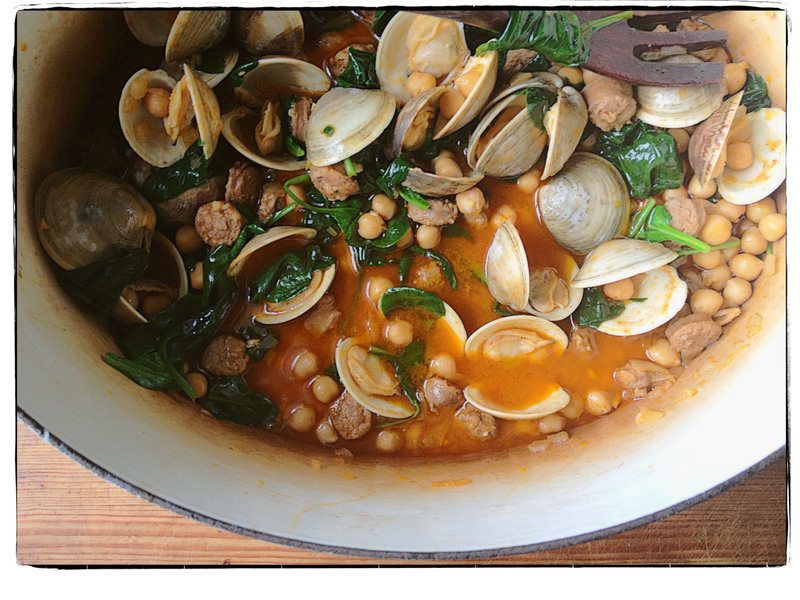 It’s a nourishing brothy stew of clams, spicy lamb sausage, chickpeas, and spinach for us today.